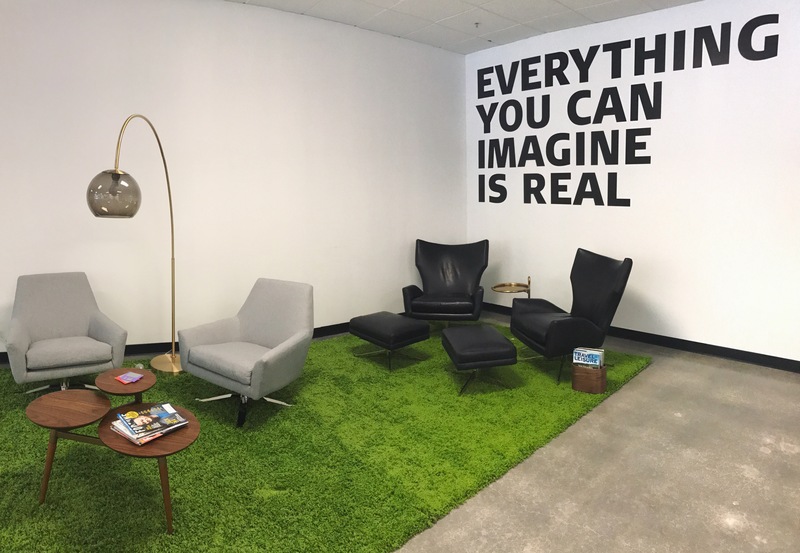 Our 2,000 square foot spacious event venue, is called The Living Room due to its lounge furniture throughout, about 70-seating lounge pieces, with capability to add more with standing room. 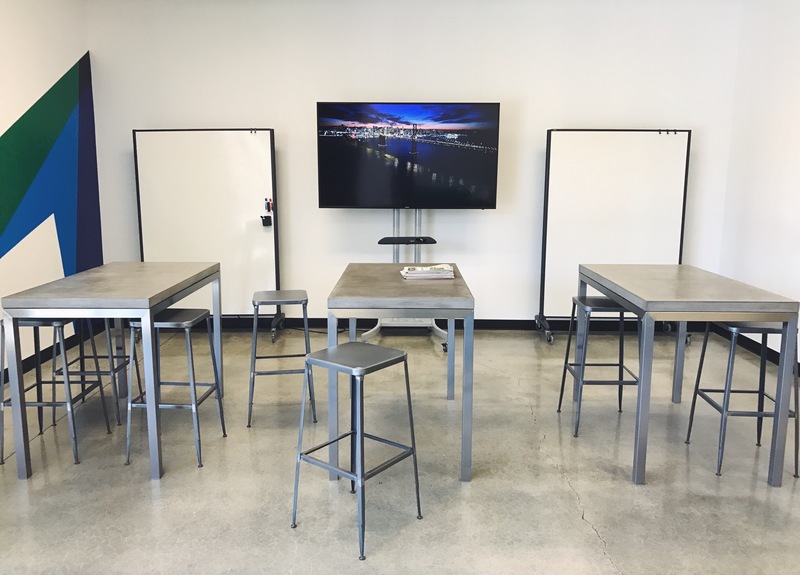 We have four large monitors on wheels, equipped with Apple TV & HDMI hookups, rolling whiteboards, three high tables, a long gathering table, and a myriad of individual but complementary “living room” set ups. 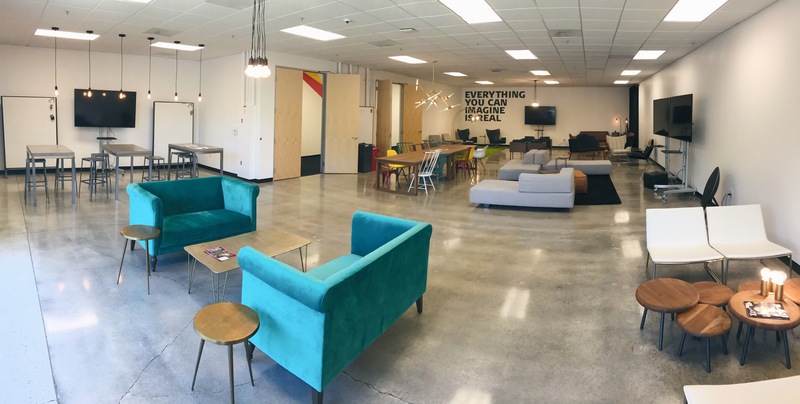 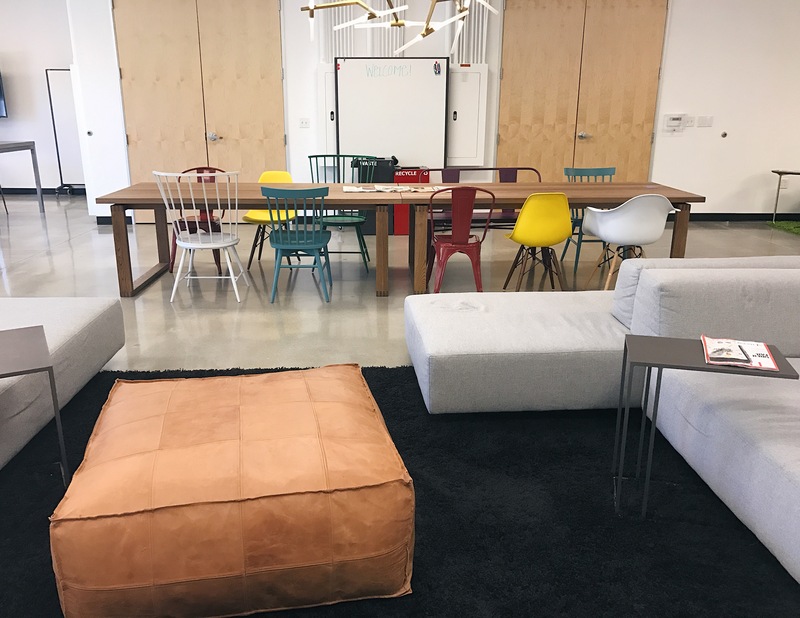 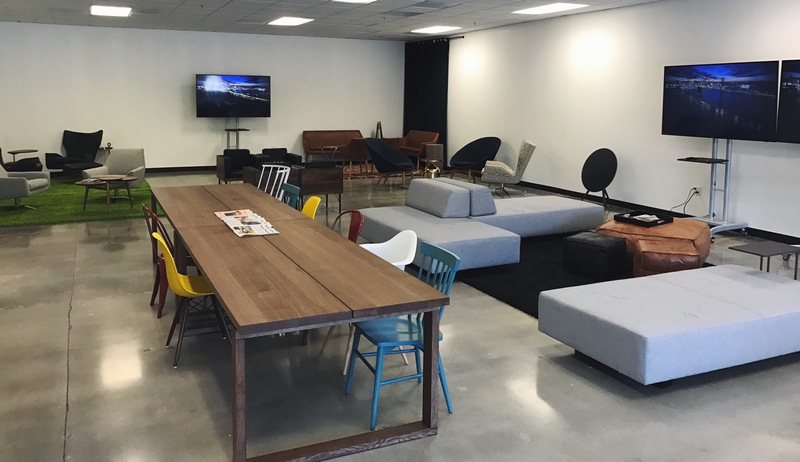 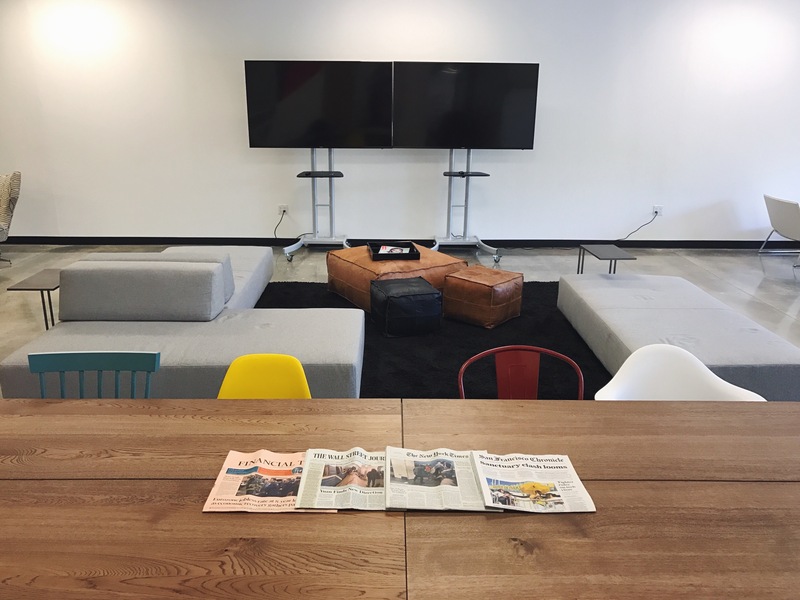 The Living Room is great for an offsite, team meeting, planning sessions, workshops, creative brainstorming space, lunch-and-learns, demos, hackathons and more! 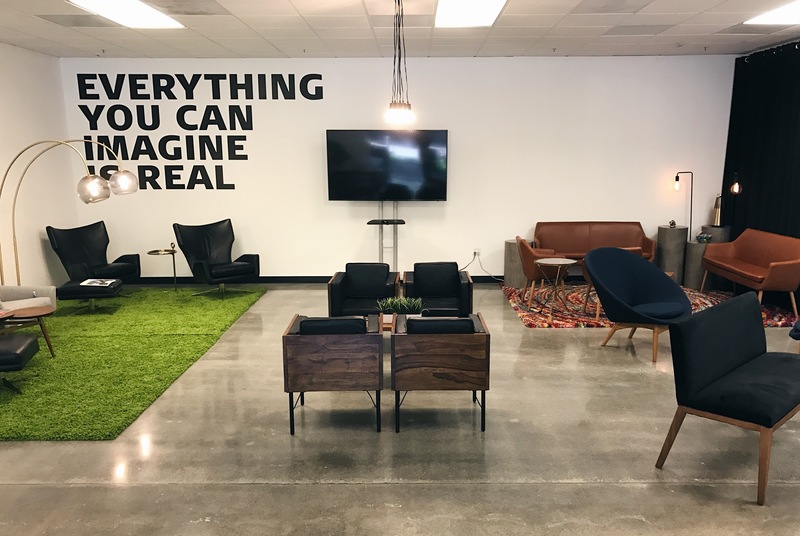 We invite you to come and take a look so you can get a feel for it yourself and learn more about why The Living Room would be the perfect space for your next event.